You can download Samhita font from Kinige for free. This font nicely fits if you need a hand written style that is not too much free flowing. 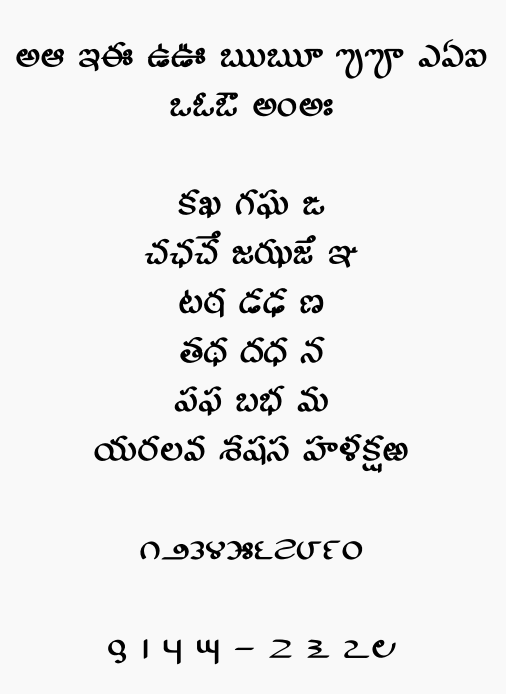 It is nice to see more and more Unicode Telugu fonts come up regularly. This field is definitely maturing. Probably, this is the beginning of the end of proprietary fonts. How We Solve this? !?! Whats that Miracle…..
try to in Photoshop Just type like మిత్రుడు Look n Fun….